Kitchen Units, Doors And Worktops - Which? Expert advice on kitchen units, doors and worktops, whether you're building a new kitchen or refreshing an old one. Whether you're planning a new kitchen design from scratch, or simply refreshing your space, one of your biggest decisions will be the materials you choose. Costs, as well as the quality, can vary dramatically depending on what material you opt for. So to help you make the best choice for your kitchen, we've surveyed 3,443 kitchen owners about the materials their kitchens are made from to find out which are best able to stand the test of time. Your kitchen units are the backbone of your kitchen, offering brilliant storage solutions and a seamless cooking experience - if you get it right. The first thing to consider is the size of units, also called carcasses. Our table below will give you an idea of the dimensions you will need to work to if you're buying a fitted kitchen, as opposed to a bespoke one, which will be more flexible. There are a huge range of storage options, but what's right for you boils down to how you use your kitchen on a daily basis. 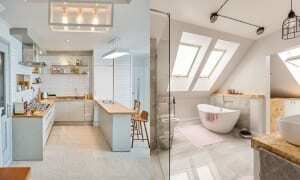 Our page on planning your kitchen talks you through this in more detail. Once you have chosen the sizes and types you need, you'll need to think about materials. Most people choose laminate-covered chipboard or MDF units. These are the cheapest units, and many of the kitchens from big-name brands, such as B&Q and Homebase, offer units in these materials. 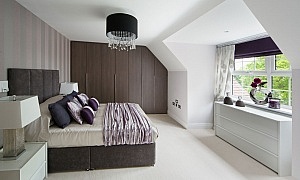 Choose between plain matt or gloss laminate finishes, or opt for laminate with an effect, such as wood. Remember that you won't see the carcass of your units very much, so this is an area you can save on. 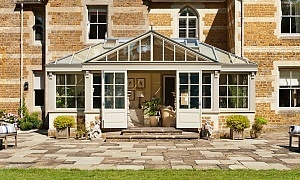 Many people opt for cheaper units accessorised with higher-quality doors and fronts. Solid wood kitchen units come in a variety of wood types, from oak to beech. But, as you might imagine, these are more expensive than laminate or veneered models. Most arrive pre-assembled (and glued together), making them very strong and rigid. If you're keen to have the look of real wood, but not the cost, one option is to get cheaper laminate-covered carcasses, with end panels and doors in a solid wood. We asked kitchen owners (in autumn 2017) who own these types of unit what they think of them, and whether they have stood the test of time. Below you can see the percentage of people who rated each type as 'excellent' for quality and durability. When our experts assessed kitchen units in our lab (in spring 2018) to see whether any were worthy of a Best Buy, we found that they were all made of the same materials. Logging in will unlock the tables below, and reveal what we discovered when we put units through quality, load-bearing and usage assessments in lab conditions. Logging in will also give you access to our kitchen installation page, where you'll be able to see ratings for kitchen installers from different brands - the top got 83% while the bottom got just 51%. If you're not a Which? member, you can gain instant access to this and thousands of product and service reviews by joining Which? today. Table shows the percentage of people that rated the material as excellent for quality and durability. If the layout of your kitchen works and your units are in good condition, replacing just the doors and drawer fronts, rather than the whole units, will save you a lot of money. There's a wide range of options available when it comes to kitchen doors, and a range of prices to reflect that. As your doors are central to the look and feel of your kitchen, this is the place to spend a little bit more, if you can, to get the style you want. Doors cost from about £5 each. Many of the big-name kitchen companies sell replacement doors as well as fully fitted kitchens, but it's also worth looking on second-hand sites, such as Ebay, for cheaper doors in the material you want. Our kitchen costs page gives more information on the cost of repairing and replacing kitchen doors as well as worktops. Whether you're buying new or second-hand, you'll need to ensure that you get the right size and associated fittings, such as hinges, for your cupboards. Most kitchen companies have a free design service, so make the most of this and ask for advice if you're unsure. The last thing to think about is the material your doors are made of. Again, laminate-covered chipboard or MDF are cost-effective types of kitchen doors. They're a very flexible choice and come in a range of colours and effects. 35% of the people we asked had chosen laminate-covered MDF doors and 19% laminate-covered chipboard. If you love the look of wood, and don't want to get wood-effect laminate, there are lots of solid wood options, including oak, beech, walnut and teak. 26% of people we asked have solid wood doors. We asked the same questions about durability and quality of people's kitchen doors. Which? members can log in now to see the ratings for the different types of kitchen door, as well as all our kitchen brand ratings and costing information. If your existing kitchen cupboards are in good condition, you could repaint rather than replace them. You can paint pretty much any type of door, and there's an endless selection of colours to choose from, whether you prefer vibrant colours or more muted pastels. You'll need to make sure you properly prepare your doors first - they'll need to be cleaned, sanded (if they're wooden) and primed - and use the right paint for that material. Most DIY shops and paint specialists have detailed advice on how to paint specific types of doors, or you could pay a painter to do it for you. Kitchen worktops come in a wide range of materials and finishes, from more expensive solid wood and granite to cheaper laminate on chipboard or MDF. As you can image, the prices for these vary widely, too, from £50 to more than £500 for the same length of worktop. Laminate-covered worktops are a flexible choice, as they come in a range of realistic effects, including granite, wood, stone or slate, without the associated cost of the real materials. They're clearly a popular choice - 44% of Which? members have a laminate worktop. When it comes to solid materials, 15% of members have a solid granite worktop, 10% solid quartz and 6% solid wood (oak). Most worktops come in 20 to 40mm thickness - the most common are 28mm and 38mm - and 600mm and 900mm depths, but not always. You can also get a bespoke worktop made to your specifications. Granite worktops are available in a huge range of colours (blacks, creams, red etc) and with different levels of glistening flecks. They are very hard-wearing and highly resistant to heat and scratches. However, they can still become marked with heavy use, such as through exposure to heat and acidic chemicals for long periods of time, or by chopping food without a chopping board. Granite doesn't need a lot of maintenance, although you should keep it clean. You can also buy specialist granite cleaners and sealers to use every so often. Like granite, quartz worktops come in a range of colours, but are more commonly white, black or grey. Some are quite detailed and have lots of patterns within them, while others are plainer. Quartz is durable and resistant to heat and scratches, although not as much as granite. Again, you'll need to ensure it's kept clean and doesn't undergo excessive wear and tear, but it won't need a lot of maintenance. 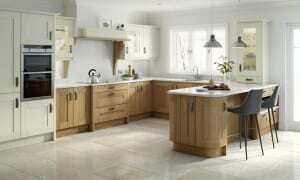 You can buy worktops in lots of types of wood, including oak, walnut, beech, birch, ash and teak. Wooden worktops are sealed, so should be fairly durable. But you'll need to be more careful than with quartz and granite, particularly to avoid scratching, staining and scorching from heat. You'll also need to maintain your wooden worktop, coating it with oil semi-regularly initially, which you can gradually do less frequently. It's best to ask the company you buy it from about specific maintenance for your particular type of wood. On the flip side, wooden worktops can also be sanded and resealed to remove imperfections, which quartz and granites can't undergo so easily. Wooden worktops can warp if poorly stored before installation, so ask the company how to care for yours when it's delivered. Log in now to see which types of worktop kitchen owners rated highest. All of the big-name kitchen brands have ranges of standard worktops, particularly laminate, while a number of specialist companies offer wider ranges for different materials, as well as bespoke services.